Those involved will always remember the My Community Matters Portland Street walkabout, which was undertaken in this area in 2014. Residents were joined by service providers from the Police, Stoke on Trent City Council and Staffordshire University who were all affected by the extreme levels of fly tipping, rubbish and over grown land which we saw within this neighbourhood that day. On almost every street alleyways and the back yards of void properties were overflowing with rubbish. There were areas of green space and parks, which were covered in litter and had also, become dumping grounds over the years. Those living in the area discussed during the walkabout the impact these living conditions were having on the community and need to do something to sort out the local environment urgently. The strained relationships and lack of trust between many residents and local services meant initiating a connecting event to bring together all these parties to discuss and work together to resolve the issues identified proved challenging for My Community Matters and all involved in these important planning discussions. Having asked the community what they believed needed to happen we began to explore the idea of a community clean up event which would involve the clearance of all the rubbish we had come across during the walkabout. What happened next? A weekend community clean up was decided, to be participated in by residents, service providers & volunteers. My Community Matters created a network and action plan, which set tasks to ensure that all stakeholders in this community were working together towards dramatically improving every aspect of the local environment. 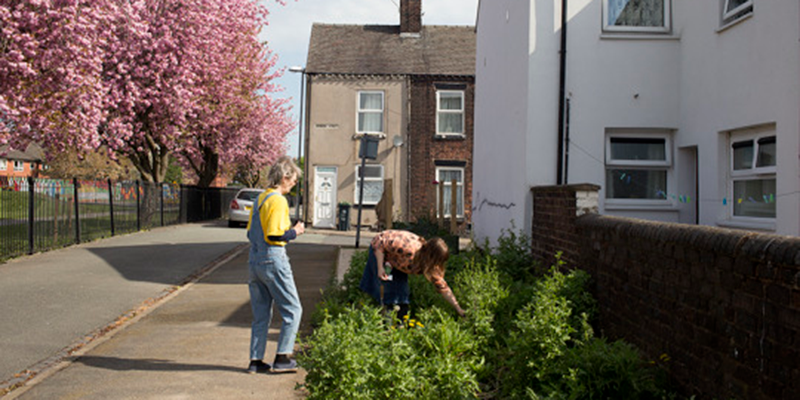 The Stoke on Trent city council housing departments, and other local social housing organisations began liasing with landlords to facilitate the clearance of the rubbish outside their vacant properties. The city council parks and environment department organised the tidying of greenspace, removal of glass and the cutting back of overgrown shrubs. 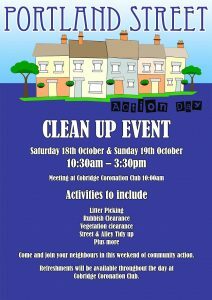 The community meanwhile were working on the promotion of the clean up event, and inspiring other local residents to be actively involved on the day. Over 70 people from the community, local services and volunteer groups all came together over 2 days to clear over 30 tonnes of rubbish from the area. Skips were filled; alleyways and streets were cleared of rubbish. Residents felt that the clean up had a positive impact and would inspire them to keep an eye out and report fly tipping. A fly tipping hotspot became a location for the newly formed gardening club to start growing plants, vegetables and herbs from. The conditions had been created for collaborative working on projects such as this to begin. The Portland Street community group has emerged and they have assisted with the planning and redevelopment of the park and greenspace areas. They have become the voice of the community and they continue to communicate with the established network of partners who work closely to resolve any issues as efficiently as possible. With their ideas and opportunities to turn another former dumping ground into a secret garden and a derelict pub into a community centre My Community Matters are certain that with the continued support and partnership working the Portland Street Community Group will continue their progress and begin to significantly impact on the lives of the people residing in this neighbourhood.